The UN’s development goals have been specific and effective, so it’s replacing them with vague ones. 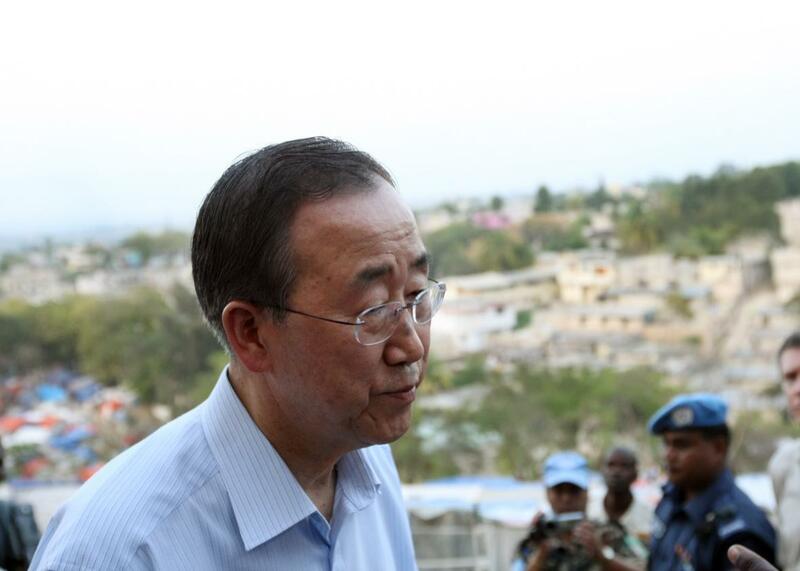 U.N. Secretary General Ban Ki-moon. With great fanfare, including an address from Pope Francis, the Unitec Nations on Friday will officially adopt the Sustainable Development Goals, or SDGs—a set of benchmarks for the next 15 years that includes such modest targets as ending extreme poverty and stopping climate change. The numbers are certainly impressive: The most ambitious of the goals was to halve the number of people in the world living in extreme poverty, meaning an income of less than $1.25 per day, from 1990 levels. Over that time it’s gone from 47 percent of the world’s population to 14 percent. Another goal, halving the number of people without access to clean sources of water, was met five years ahead of schedule. And even in cases where the goals haven’t been met, progress has still been impressive: The share of undernourished people in the world has gone from 23.3 percent to 12.9 percent; deaths of children under 5 have dropped from 90 per 1,000 births to 43 per 1,000 births; the number of new HIV infections has dropped by 40 percent. The MDGs expire in 2015, and the U.N. has been working for the past two years to come up with something to replace them for the next 15 years. The MDGs have their fair share of critics, who argue that the definition of extreme poverty was too modest, that they downplayed concerns about human rights, governance, and income inequality, and that the goals themselves didn’t actually accomplish that much. The reduction in overall global poverty over the last 25 years had a lot more to do with economic growth in China and India than anything the U.N. proposed. Sub-Saharan Africa still lags well behind Latin America and Asia on most of the goals. Nonetheless, it’s fair to give the MDGs credit for galvanizing the international donor community around some core common goals and, perhaps more importantly, giving individual governments benchmarks by which to measure their own success—and giving citizens and the international community a way to hold them accountable when they fell short. By these criteria, the new SDGs are not promising. For one thing, there are way too many of them. The eight goals for 2015, which were broken into 21 specific sub-targets, have been replaced with 17 goals with 169 targets for 2030. This will make it more difficult for governments and donors to prioritize. Some of the goals, such as “end all forms of discrimination against all women and girls everywhere,” appear hopelessly utopian. Others, such as “promote the rule of law at the national and international levels and ensure equal access to justice for all,” are frustratingly vague. And some, like “devise and implement policies to promote sustainable tourism that creates jobs and promotes local culture and products,” seem crafted by interest groups. Even by U.N. standards, the SDGs read like a document crafted by a very, very large committee that lacks the quantifiable specificity and focus of its predecessor. This is a shame since the big one, target 1.1—“By 2030, eradicate extreme poverty for all people everywhere, currently measured as people living on less than $1.25 a day”—is certainly a very worthy benchmark and would be hard enough to achieve even if it weren’t lost in a sea of vague good intentions.